Date: Dec 6 2018, 9 a.m. - 6 p.m. There is still time to get your Christmas shopping done! 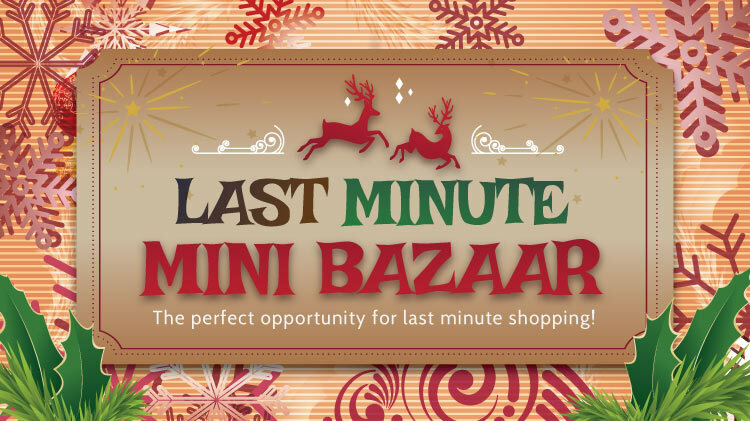 Find unique European treasures for the whole family at the Last Minute Mini Bazaar! The bazaar will be happening Dec.3-6, 9am-6pm. Come with a friend or the whole family and find that special holiday gift.